Whether a treasure hunter or thrift newbie, Value Village and Unique Thrift Stores has what you're looking for with thousands of quality used clothing + household items for a fraction of regular retail prices. Maximum individual reward 4 dollars per visit. CouponSurfer Rewards members get 7% cash back in-store. Just Click to Activate Offer. 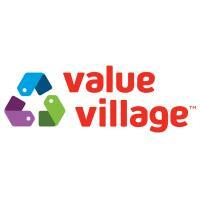 Find a Value Village Thrift Store near you.